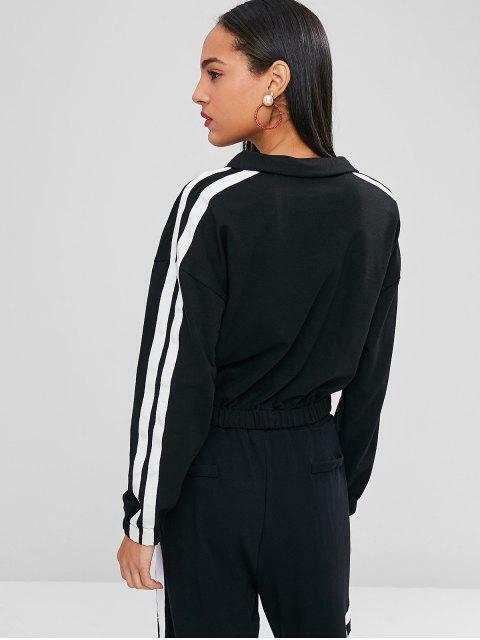 [47% OFF] 2019 Contrast Trim Double Striped Sweatshirt In BLACK | ZAFUL ..
A classic zipper sweatshirt is made from soft fabric, two-tone styling, and relaxed-fit construction. Also, it comes with chic double stripes on the sleeves and comfy elastic at the sleeve cuffs and hemline. Perfect for matching with athletic trousers or skinny pants.